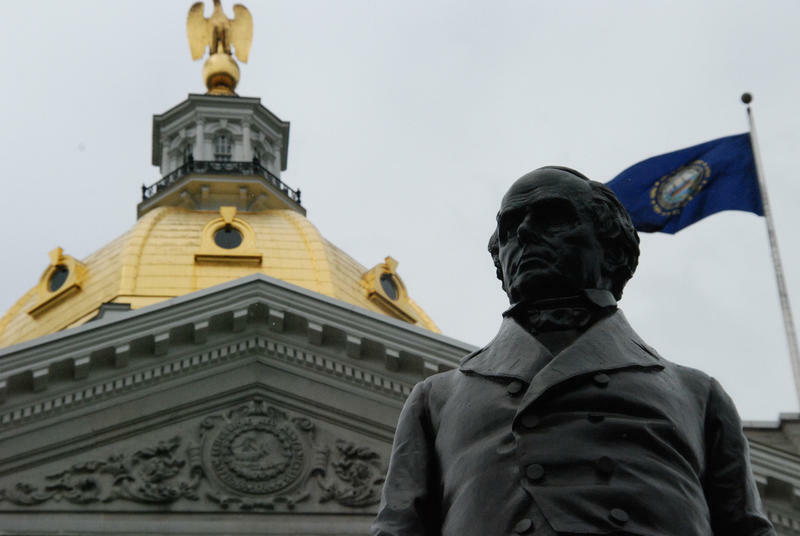 It will be bottoms up in Concord on Saturday when a crowd gathers to toast the New Hampshire State House's 200th anniversary. The "Toast to the Eagle" will feature a recitation of the 13 toasts made on July 18, 1818, the day the carved eagle was set atop the State House dome. 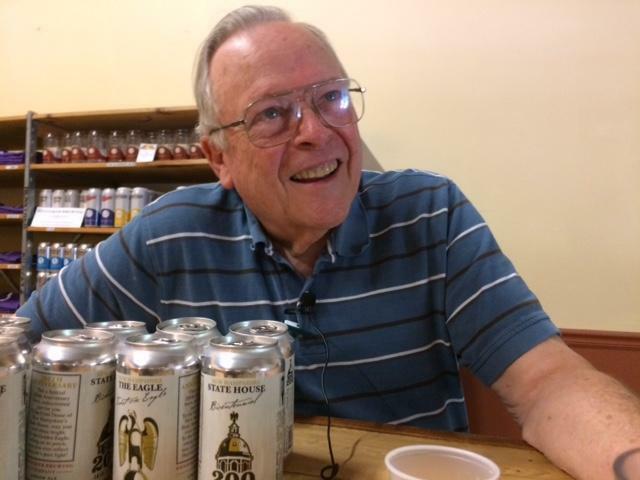 The beer will come by Henniker Brewing Company. 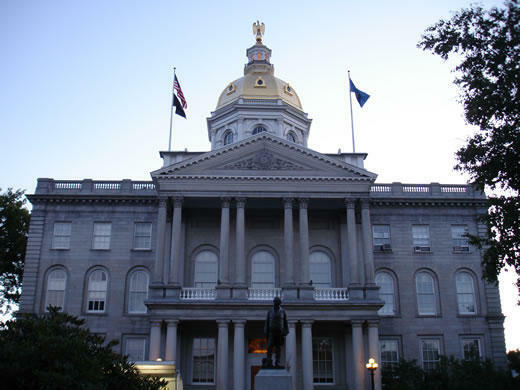 Its founder, Dave Currier, served in both the New Hampshire House and Senate. Representatives from six state-supported addiction treatment centers gathered at the Statehouse today to rally against decreased Medicaid reimbursement rates. The change, brought on by a switch in the way Medicaid recipients are insured, will take effect next year. 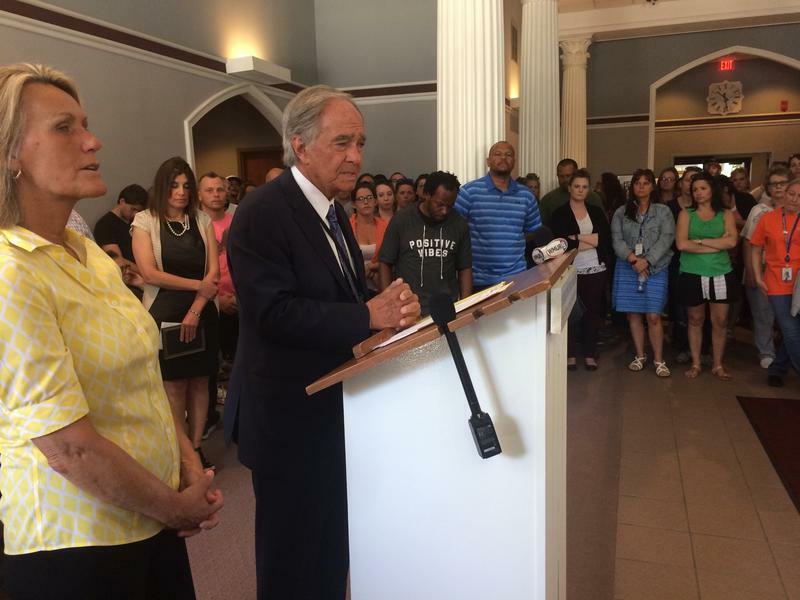 Providers say it will force them to cut services and eliminate inpatient beds instead of expanding to address New Hampshire's opioid epidemic. Ahead of another student walk out to protest gun violence, around 200 gun rights advocates had their say outside the New Hampshire statehouse Saturday. The National Constitutional Coalition of Patriotic Americans organized similar events outside statehouses across the country. Despite biting cold weather, gun owners and second amendment advocates from across New Hampshire showed up to hear a range of speakers and to show opposition to any further firearm restrictions. A review of sexual harassment and misconduct complaints against lawmakers across the country shows a half dozen New Hampshire House members faced allegations in the last few years. The Associated Press filed records requests in every state seeking information on complaints made since 2008. 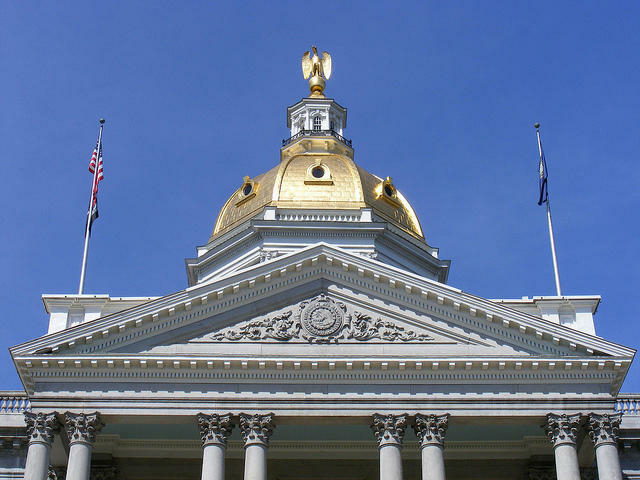 The New Hampshire House provided information about eight complaints involving six members, but it only had records dating back to 2015. The Senate said it had no records of such complaints. Social studies teacher Rob Nadeau’s journey to the New Hampshire State House began last fall in his Hopkinton Middle High School classroom. 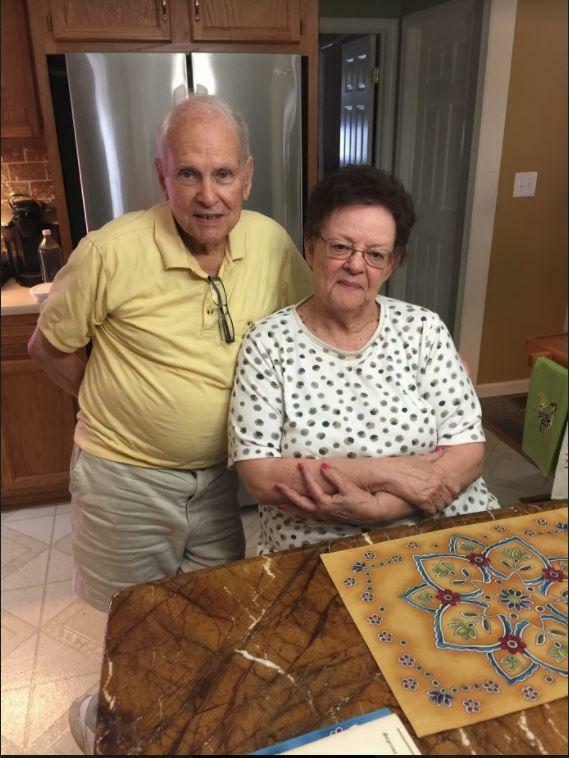 While teaching an Intro to Law class, he said he noticed his students were shocked to learn that in New Hampshire, permitted gun owners were allowed to bring their firearms into a school building. New Hampshire Gov. 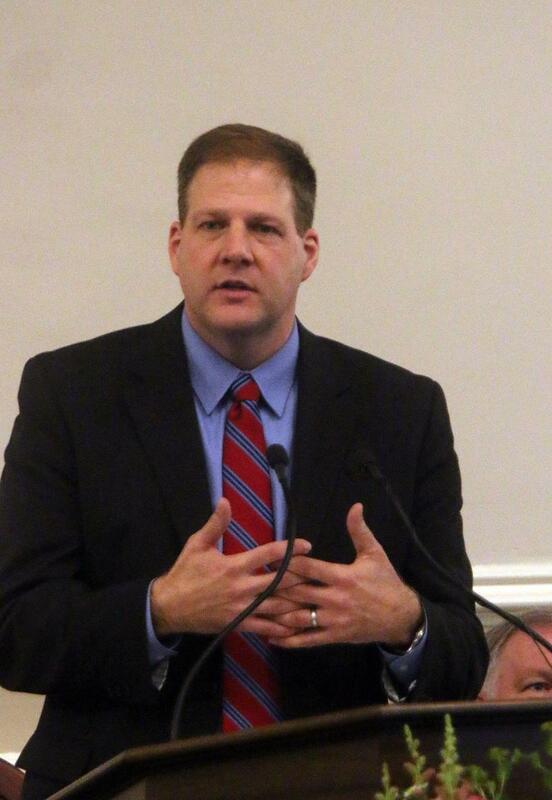 Chris Sununu has a long to-do list for this year’s legislative session. Sununu gathered Republican lawmakers together for a press conference early Tuesday morning that had the feel of a GOP pep rally. The New Hampshire Republican Party has sometimes struggled to unite, even with control of the Statehouse. But Tuesday, Sununu praised lawmakers for their work last year, expressed confidence in what’s ahead and tried to normalize potential splits. 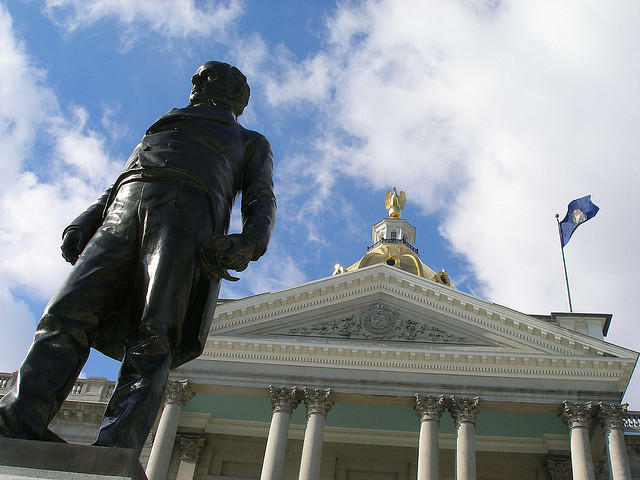 An analysis of financial disclosure forms and legislative records highlights two possible conflicts of interest in New Hampshire. The Center for Public Integrity and The Associated Press analyzed disclosure reports filed nationwide in 2015 and found numerous examples of lawmakers who introduced and supported legislation that helped their own businesses, employers or personal finances. A new analysis of a controversial school voucher bill says it could cost the state millions of dollars over the next several years. 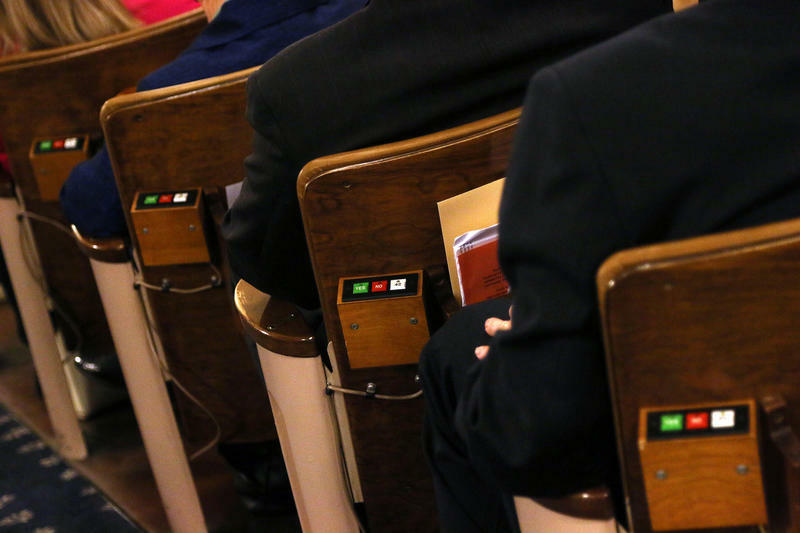 The bill in question would allow parents to take the state money that normally follows a child to public school, and spend it on other forms of education -- including private schools or home schooling. It wasn't gold, money or skeletons. 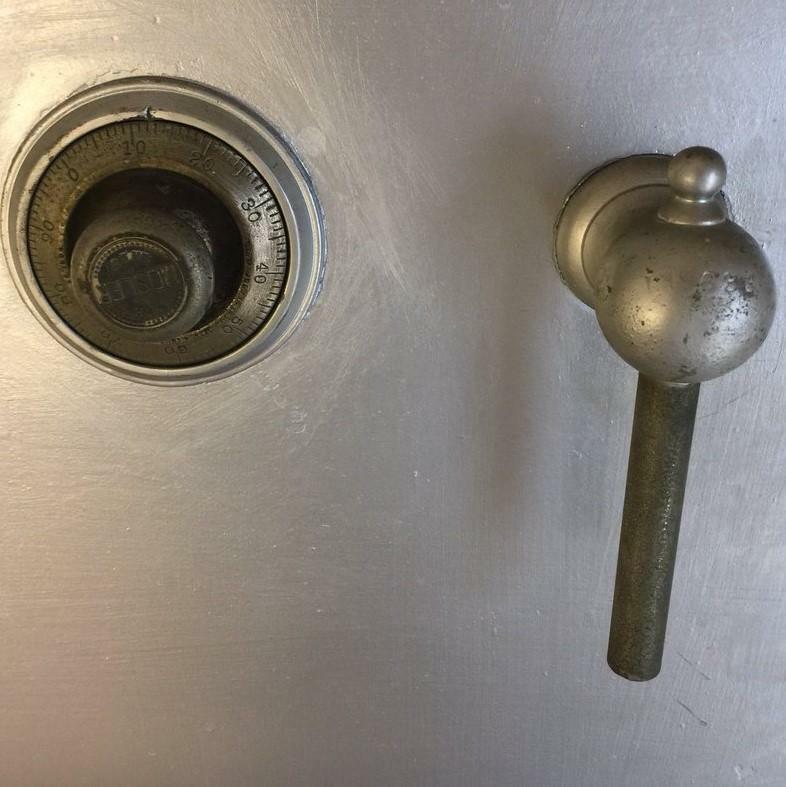 But the newly-found items, including old ledgers, now-vintage fans and Civil War bonds, locked for decades in an old safe in a first floor committee room, were still exciting to a few curious minds at the New Hampshire State House. A handful of Republican lawmakers and one Democrat are expected to square off at a forum in Concord in hopes of becoming the next Speaker of the New Hampshire House. Governor Chris Sununu has nominated the current Speaker, Shawn Jasper, to be his Commissioner of Agriculture. Jasper has yet to be confirmed by the Executive Council, but in the meantime, a number of his colleagues have been lining up to be his potential replacement. 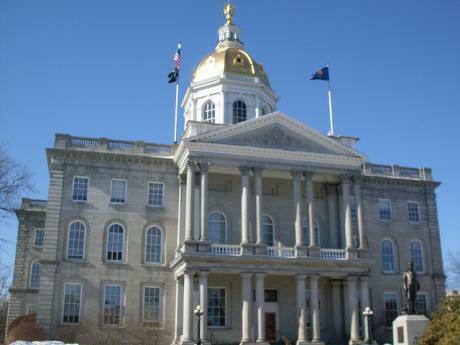 Tours of the New Hampshire Statehouse are once again being held on Saturdays. Free tours have been scheduled for Oct. 7 and Oct. 14. The tours will take place every 30 minutes from 10 a.m. to 2 p.m.
Additional weekend tours will be available on Dec. 9, when the Statehouse is decorated for the holidays. The tours will depart from the Statehouse Visitor Center at 107 North Main Street. 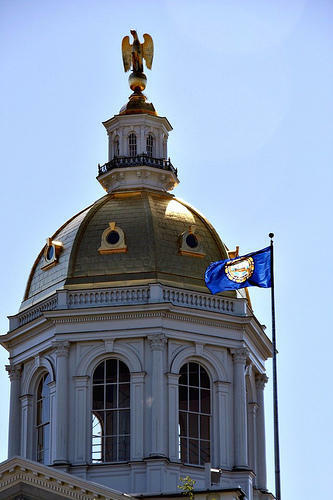 Last year, the Greater Concord Chamber of Commerce conducted a successful pilot program that helped determine the demand and future possibility of weekend Statehouse tours. Seventy years after his death, the life and accomplishments of John Gilbert Winant were honored Friday during a statue dedication ceremony in Concord. Complete with a military band, prominent politicians and no shortage of cameras, it was just the kind of show Winant would have hated.